Back in 2003 I created a 3D test model of the city of Metru Nui and did these overviews of the giant city. 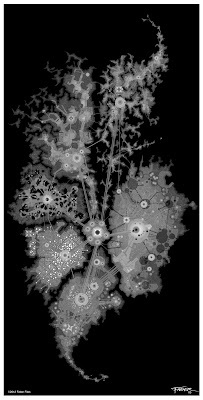 The model was done as a very detailed greyscale elevation map and rendered in an old program called Bryce with some additional work in Photoshop. I've included the greyscale bump map. Hi! Do you think it possible to show the grayscale map? I myself would find that really awesome. 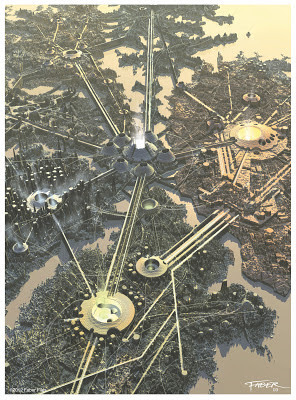 The heightmap would be incredibly useful for the Bionicle fanart community as well. 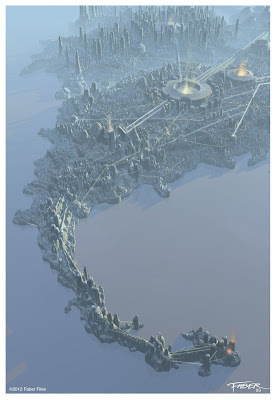 Those structures that look like mini-coliseums with the four outcropings, are those smaller Metru Temples?